Vogel’s Professional offers a complete range of universal ceiling, wall and floor solutions for small to extra large displays. The modularity of Connect-it is unique. With only a few standard components you can create solutions for almost every situation. From basic, single display solutions to more complex, multiple display solutions such as back-to-back, side-by-side, and even floor to ceiling. The Connect-it Series has been extended with a complete range of trolleys and floor stands. With Connect-it you can create your own custom installation without any concessions. The modular display interface consists of two separate components: an interface bar and a set of two interface display strips. 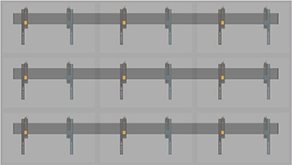 The interface bar is for the horizontal display fitment and the interface display strips are for the vertical fitment. This creates the perfect fitment for any display. The horizontal fitment determines the length of the interface bar and is available in 8 different lengths from 290 to 3315 mm. The vertical fitment determines the length of the 2 interface display strips and is available in 4 different lengths from 295 to 830 mm. Depending on the situation you select the right ceiling plate and pole length needed. The modular display interface can be selected based on the fitment of your display. With the standard Connect-it components it is also possible to create a diversity of multiple displays solutions; back-to-back, side-by-side, etc. But also floor-to-ceiling solutions are possible. All of this including the well-known ease-of-installation features. Vogel’s Professional introduces a modular video wall solution, especially designed for professional displays. With this modular concept, based on Connect-it, you can create a video wall solution for almost every set-up. Once the displays are in place, the built in service position makes it possible to easily connect cables to the displays. The service position also allows each individual display to be removed for maintenance or replacement. Even if the display is in the middle of the video wall. Flexibility is the key feature of the Connect-it trolley and stand range, from a basic single to any imaginable multiple solution Creating a video conferencing floor solution is easy with the standard components and the wide range of accessories. With Connect-it floor you can create your own custom set-up. Vogel’s is once again pushing the boundaries of video wall mounting solutions. By adding a complete new range of Universal video wall solutions to our existing Connect-it system, we are expanding the applications of LCD video walls - in terms of size, position, mobility and flexibility. 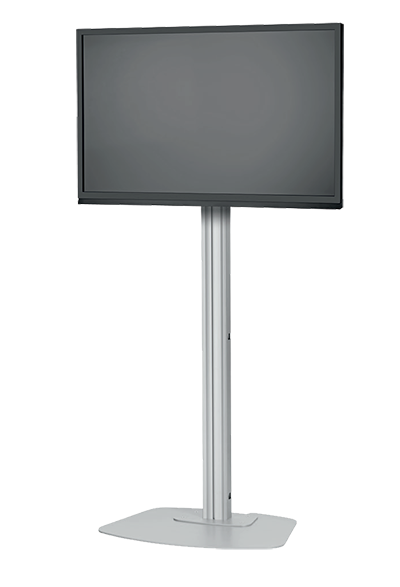 In addition, we can also now offer solutions for LED screens, for a futureproof standard. This universal and modular concept excels in quality and ease of installation. 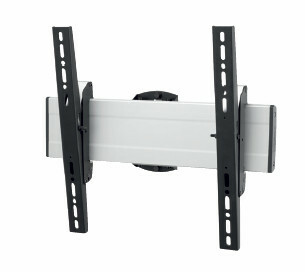 A minimal number of linkable components can be combined to produce a mounting solution for all sizes of video wall. 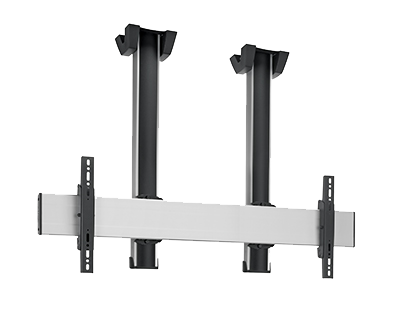 Vogel’s existing Connect-it Interface bars and display strips are the basis for LCD video wall mounting solutions and in addition we now have dedicated strip sets for mounting LED tiles as well. Whether you need a ceiling, a floor-to-wall, floor-to-ceiling, free-standing, back-to-back, fixed or mobile solution, installation is clear and simple. Click here for more information.